Winter definitely made it | Wha’ever! On way home now. Not many people around at all today at the train station. I reckon they left early, since also here in Östergötland a bit of snow chaos on the road is reported. In Valdemarsvik, a bit south of Linköping, even schools reportedly closed due to snow. However, my train was spot on time – and now I am sitting in the warmth, typing away while listening to one of my favourite soundtracks, Love Actually. Have a great night everyone! 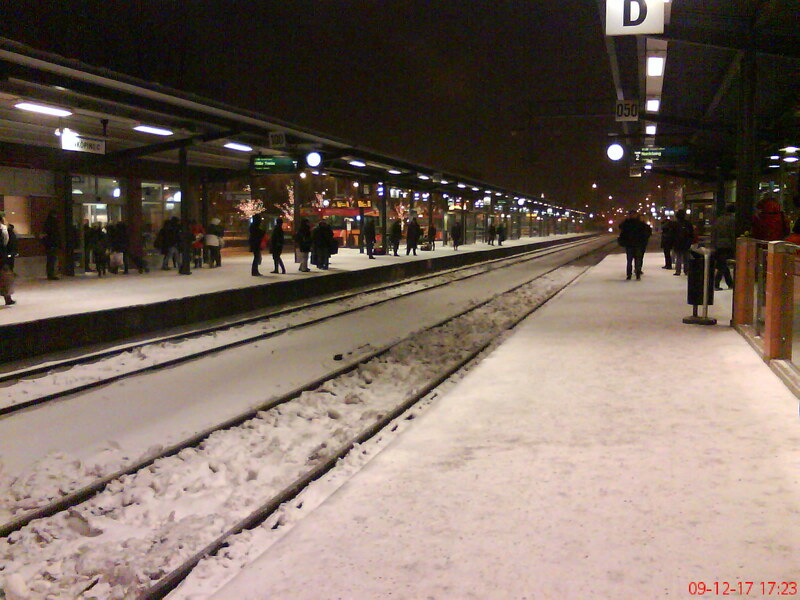 This entry was posted in Current Affairs, Life and tagged winter by anmara. Bookmark the permalink.